SURFSLAM 2016 IS BACK FOR ITS EIGHTH INCREDIBLE YEAR! Join the world's greatest Watercraft Freeriders September 9th, 10th and 11th on the ocean beaches of Pacific City Oregon for 2016’s premier PWC surf event. The Surfslam is being held for its 8th year at the pristine Tierra Del Mar Beach access located just north of Pacific City, Oregon and is free to the public on this wide expanse of incredible beach. The Blowsion Surf Slam brings over 100 Pro, Amateur and first time Rookie competitors from around the world competing for cash purse, prizes and points towards the International IFWA World title, as well as the Blowsion Surfslam Champion. Classes of Pro, Amateur and Rookie Freeride competitors will compete in the head to head double elimination format. A panel of expert judges will score them 50% for their wave surfing and 50% for their aerial maneuvers. The 2016 World Tour incorporates International rounds in Portugal, France, United Kingdom, Brazil and Japan. 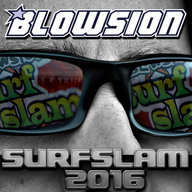 Watch it peak at the Blowsion Surfslam this September! The notorious Oregon Pacific Coast surf will boost riders in excess of 20+ feet in the air while performing surf combinations featuring multiple rotation backflips, Madonna rolls, can-cans, gerbil chokers, Superman backflips, inverted barrel rolls, floaters, look backs, aerial re-entries and no handed and no footed landings. Not able to attend? No worries!  We will be live streaming (2015 event stream here) the 2016 Blowsion Surfslam weekend with the excellent assistance again of Richard Ignacio of LiveStreaming247.com. This event is a weekend of non-stop surf and core beach action. The Freeride Qualifying will begin on Friday September 9th. Hydro-Turf is proudly presenting the sixth annual HYDRO-TURF BIG AIR SHOWDOWN on Sunday with cash awards to the top three freeriders demonstrating the most aerial amplitude in this must-see contest of aerial cojones and carnage. Rounding out the amenities of this action packed weekend is the vendor and sponsor beach display area with food and beverage offerings to add to the festival surf environment. With over three miles of open beach to drive on and launch from, be sure to bring your own wave-shredding machine to carve up some of the famous Oregon Pacific Ocean Surf.